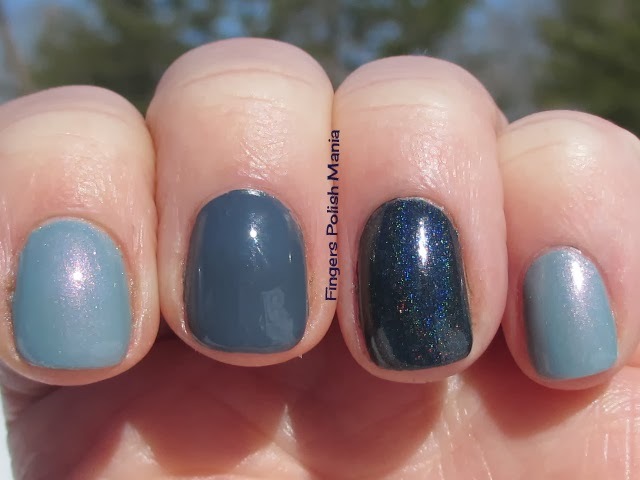 fingers polish mania: Creams, Shimmers and Holos-Oh My! Before we get to the awesomesauce that is today's mani, first the story of the fallout. You remember how I told you I did not go to work due to the snow, but then ended up having to take my baby to the Emergency Vet? Well, I got in trouble at work. Yup, the bullsh*t there continues with the new boss. So I got to work the other day and was immediately called into the principal's office. It kind of feels like that to me anyway. I was told that the policy is we have to be there, we are essential personnel. I was to be disciplined, it goes in my file, I don't get to use my sick time for those eight hours, plus I don't accrue the normal 6.5 hours of sick time I would normally have. WTF?!??! I said to her, that I had to take my cat to the emergency vet, that she had a blockage, that I had the receipt and the CD showing the blockage proving I was there. I told her that even had there been no snow, I wouldn't have shown up that day because my cat is more important to me. Told her my work for the following two clinics were all done, I had no patients to see and no one needed to cover me and my work. She said, I appreciate that you are one of the more conscientious nurses that has their work done, but this is coming from leadership and all that were not there that day will be penalized as I have. She did say she would take my vet receipt and "see what she could do." Which means I'm out 8 hours pay plus the 6.5 I would have earned. I got to say this is BS. It would be different had patients been there, different had I done this every single snow day. Not the one time in the 5 years I've been there. I'm pissed. I think it's wrong and I can't do a damn thing about it. Just my little way of saying, I'm good and now others know it and you're punishing a damn good employee for bullsh*t. Put that in your pipe and smoke it. Now we are back to the mani at hand. I am actually writing this while on vacation in Myrtle Beach and I'm listening to the waves in the background. So nice! 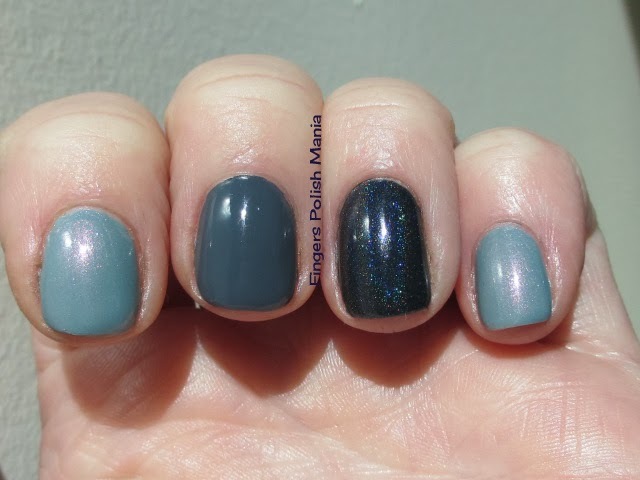 This is Rescue Beauty Lounge Reveillon, Forgotten Road and Enchanted Polish January 2014. A cream, a shimmer and a holo all in one mani! Oh how gorgeous right? I just thought these three would go so well together and I was right! I didn't want to mess too much with this, so I simply dotted. Here are the results. Swooooon. I am in love with these colors! Ji from RBL actually left me comments on this on my Instagram page. Made my day a little! Hopefully, I will have another gorgeous sunrise for you like I did two years ago that I showed you. This morning's was nice, just not NICE.